Replacement Strain Gauge Load Cells are in stock and ready for fast shipment to you when you need them. 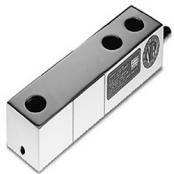 We have a wide range of brand name load cells for your weighing needs. If you need a particular model number or capacity give us a call or contact us and there is a strong possibility that we can either supply you the exact load cell you need or we can provide you with an interchangelable version that is nearly identical. These are also sometimes refered to as single end beam or double end beam. Used in tank weighing and industrial process control. Bending Beam feature low profile construction for integration. Revere 9123 is a low-cost, high performance, single-ended beam designed for low-profile scales and process weighing in both trade and non-trade applications. NTEP approved in capacities of 250 to 10,000 lb (453.6 to 4535.9 kg). Supplies with a 20'/6.1 m cable. 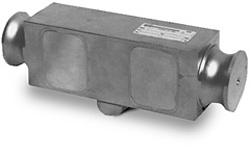 Revere Transducers 5123 Single-Ended Beam, Alloy Steel is a low-cost, high performance, single-ended beam designed for low-profile scales and process weighing in both trade and non-trade applications. Capacities of 1000 to 10,000 lb (453.6 to 4535.9 kg) and NTEP approved. Supplies with a 20'/6.1 m cable. Stainless steel double-ended beam designed for truck, track, and process weighing. High accuracy, low profile, and tolerance to non-axial loading and redundant seal. Capacities from 5000 to 150,000 lb (2268.0 to 68.038.9 kg). NTEP certified capacities from 10,000 to 100,000 lb. Non-NTEP in 5,000 and 150,000 lb capacities. Complete with 30'/9.2 m of load cell cable. Designed for tank, hopper and process weighing. 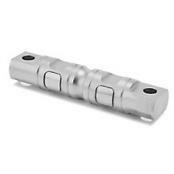 High accuracy, low profile, tolerance to non-axial loading and redundant seal. NTEP-certified capacities from 150,000 to 250,000 lb (2268.0 to 113,398.1 kg). Complete with 30'/9.2 m of load cell cable. Nickel plated and environmentally protected with stainless steel side plates. Designed for center mounting and double link loading. Capacities from 25,000 to 125,000 lb (11,339.8 to 56,699.1 kg). Integral 35' (10.6m) cable and NTEP approved.